All items related to the purchasing, selling, or investing and building of Condominiums in Florida. Experiencing a steep growth curve prior to the economic downturn, the Florida real estate market is a vibrating hub of abundant unsold and new condominium units. This is an once-in-a-lifetime opportunity for second-home buyers as well as investors interested to grab a piece of the endlessly desirable Florida condominium realty pie. With a large number of these condominiums being located near lush golf courses, sunny beaches, and providing world-class amenities, buyers have been flocking to this part of the world. Recently prices of Florida Condominiums have been back on the rise. Don’t be in such a rush though you forget to do your due diligence. Purchasing a condominium under Florida laws and regulation is an entirely different ball game compared to what you have experienced so far! Starting with the definition of condominium for first time condominium buyers in Florida. What exactly does the term ‘condominium’ stand for? Though most owners refer to their individual apartments as ‘condominium’, in reality, condominium denotes the entire property consisting of all the apartments, parking areas, grounds, and generally, the recreational facilities incorporated there. Each apartment is known as a ‘unit’. Other than the unit, the rest of the property is referred as ‘common elements’. The buyer has the exclusive ownership of the unit and the ownership of the common elements is shared with other unit owners. The Florida Condominiums Act highlights that all the owners have an undivided ownership of the common elements. Declaration of Condominium – The key document of your ownership of Florida condominiums. Describing the common elements and the units, this document defines the precise rights of the unit owner, authorizes formation of association, and controls the operation and uses of all common elements. Articles on Incorporation of the Association – Filed with Florida Department of State, this document authorizes the creation of the condominium association. 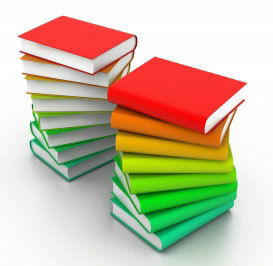 Bylaws of the Association – The bylaws are the guidelines for the association’s operation. Operating Budget – It describes the association’s common expenses. The cost is split among unit owners in proportion to their ownership interest in all the common elements and changes year to year. We always recommend you request a current budget from the HOA directly when purchasing. Rules and Regulations – Consisting of restrictions concerning the use of the common elements, these rules are ratified by the Board of Directors. 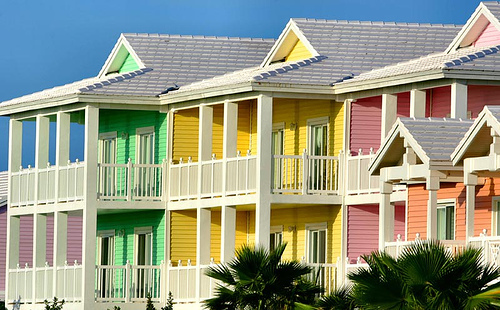 Though the purchase of Florida condominiums involves many considerations like a single family homes, different factors are involved because of unique legal structure of condominium real estate. Under the Florida Condominiums Act, the two categories of the condominium purchase process are purchasing directly from the developer or from any prior unit owner. Under the Act, these two procedures are differently treated and there are different legalities involved. If you are eager to accept the Florida condominium life and planning to invest in a unit, prior research of these criteria is important. Once you purchase its too late to do your due diligence. If you’re considering purchasing a Florida condominium, it’s important that you do your due diligence first and make sure you know what you’re getting into. This is why it’s so important to read over the Declaration of Condominium, also sometimes called the Condo Rules and Regulations. It helps ensure that you know what you’re getting before purchasing. 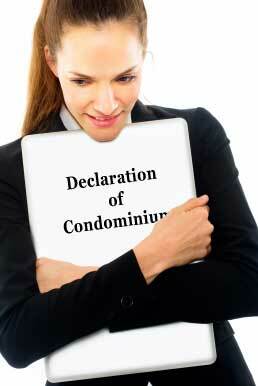 What is included in the Declaration of Condominium? This document is typically the initial legal document that defines what the condominium is, the specifics of each unit, governing rules for the condominium, information about the condominium owners’ association, and more. The Declaration of Condominium is usually filed at the Office of Registry of Deeds or similar offices in the county the condominium will be or is built in. This document is used to sell the condominium development and should always be given to interested owners prior to making a purchase. You want to know what you’re getting into before you purchase, especially if the condo development is not built yet. This document will give you the specifics on the size of the unit and any other proposed details for the unit. Historically they didn’t always require architectural plans of the units and layouts. Over the years the requirements have changed and this is now found in almost all Declarations. If the condominium is already built, it should help you determine common problems within the condominium and how those problems are handled by the owners’ association or the board. Fire damage, Eminent domain, pet restrictions, etc. etc. It’s a document you’re going to want a copy of so you can refer to it if issues should pop up after you’ve purchased the condominium. This document will outline the rights of a condominium unit owner pertaining to their own specific unit as well as how complaints are handled and more. By reading this document before signing any paperwork, you can get a great sense of how the condominium is operated and whether it’s under a good ownership association or condominium board or not. It can help you avoid falling into a trap that you’ll be sorry for later. Voting is not necessarily divided equally among owners and may be prorated based on the size of units. These are things you need to review up front. In addition to the above information, the Declaration of Condominium should provide information regarding the rules and guidelines for the entire condominium. This will help you determine whether those specific rules and guidelines are fair or like some condominiums, if they’re nitpicky and too controlling. We would always recommend that in addition to the rules and regulations filed in the Declaration of Condominium that you also ask the association directly if there are supplemental condo rules and regulations that maybe are not filed properly but are being enforced. Asking up front is always a safer route. The document will most likely be several pages long, so it’s important to take your time reading through it to make sure you understand every point within it. This is essential to everyone considering purchasing a condominium. If you aren’t given the time to read through the document or it seems that it’s an inconvenience that you want to do so, you should probably move on to the next available condominium or hire an attorney to review it for you. Once you purchase it, you own. Condominium Bylaws Matter. Pay Attention to them. If you’re considering buying a condominium, the seller has probably made all sorts of promises about the way the condominium is operated and the benefits of the condominium. While it’s fine to hear the seller out and to listen to what he or she is saying, never take the seller’s word for fact. You’re going to want to get your hands on a copy of the condominium bylaws to get better insight into how the condominium operates. What are the Condominium Bylaws? The condominium bylaws are found within the document, and set forth restrictions for the condominium owners and board members. They also detail processes owners need to remove board members who have overstepped their power or abused their power, and discuss the guidelines owners must follow if they are part of the condominium. They are basically the governing document for the condominium and the rules and regulations are created from the bylaws document. It’s essential to read the condominium bylaws and retain a copy if you’re considering purchasing a condominium. Both board members and condominium owners have a duty to comply with the bylaws. Those who do not could be taken to court and sued for not being in compliance or be fined. The bylaws contain all sorts of regulations, such as the maintenance of the condominium, how the outside of the condominium units should look, the proper processes owners should follow if they’re unhappy with the board members and more. When reading the condominium bylaws, there are a few things you’ll want to really look for. The condo docs which generally contain the bylaws detail the methods for receiving the monthly dues from the unit owners, as well as processes that may take place should the owner fail to provide their monthly fees. They also outline the board member’s powers and the number of owners it takes to remove a board member, as well as the process that must be followed in order to do so. Look for the rules of the upkeep on the condominium units as well as the consequences of not being in compliance with the bylaws. In addition to obtaining a copy of the condominium bylaws, you’re also going to want any additional paperwork that the seller can get you. This might include the declaration of condominium. If you are looking for a copy of your condo docs we can provide them. It’s important to take some time to read fully over these documents. Within them are often the rules and regulations that must be followed by condominium owners and board members. They can help you determine whether a specific condominium is right for you or not. By ensuring that you get your hands on these documents, you will receive the truth about the condominium you’re considering rather than bright promises from the seller. Florida condominiums are selling like crazy right now, including bulk condominiums to investors who are looking to make a profit. It’s entirely possible to make money with condominiums, but it’s also important to know as much as possible about purchasing condos and the condo by laws before doing so, to avoid common pitfalls and issues. Here are some important things you should know before attempting to buy a Florida condominium. The first thing you’re going to want to think about is the owner’s association, which is the committee that governs the condominium units and the behavior of the tenants. While many owners associations are fairly lax in their rules and guidelines, others are extremely strict. You should read over the policies and information before purchasing any condo so you know how difficult it will be to renovate and then sell the condo. Ask for a copy of the Condo By laws and review them. With the economy the way it is currently and the unemployment rate being so high, many individuals are unable to pay their monthly HOA payments. This can mean that there simply isn’t enough money to handle maintenance issues and other problems that arise with the condominiums. Another tragic result is that the building could end up losing insurance coverage. If this happens, banks simply aren’t going to lend money to interested buyers who want to purchase one of the units. You can see that this is a difficult situation to be in, so thoroughly researching the history of payments and issues is a must. Along with the condo by laws you should be requesting a copy of the condominium budget and minutes. 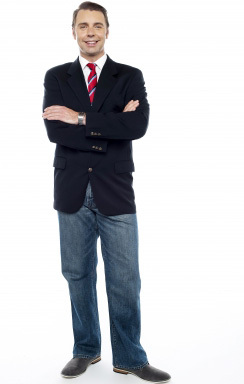 It’s very important that you and an attorney thoroughly look over the meeting minutes that you will be provided with. These will include the things that are discussed as well as special assessments addressed in meetings, and will give you insight into what’s going on with the building. Unfortunately, many buyers realize too late (through these documents) that there has been an ongoing problem and they’re left to deal with the problems after they’ve already purchased the building. If a problem is spotted in the special assessments, you should thoroughly investigate the issue before making an offer or purchasing. In addition to the minutes, there is small print in the condominium by laws that you are bound by so read it. If you go into a contract or even look at a property without the benefit of a real estate attorney, you could end up making a bad investment. You need the professional opinion and advice of someone who deals with these issues every single day, especially when it comes to Florida condominiums. Condominium Documents or Condo by laws should be reviewed in detail. Take the time to seek out a qualified attorney in order to get the best legal expertise when it comes to purchasing Florida condominiums. Florida condominium investment has been hot for quite some time, and investors – both foreign and American – have been investing right and left. 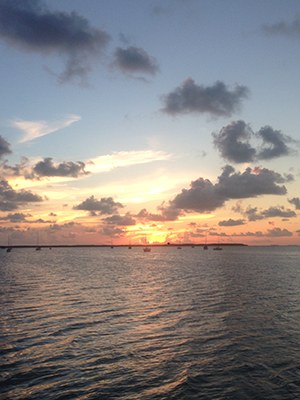 Many have purchased Florida condominiums in bulk, and some investors have even purchased land to develop more condos. 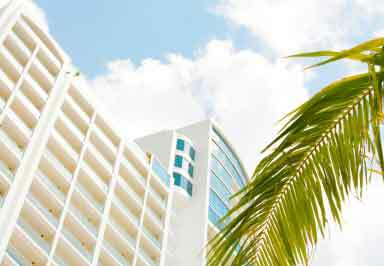 However, developments in the past few months may change how investors feel about Florida condominiums, because the bills that were designed to extend the Florida Distressed Condominium Act were not pushed through. What is the Florida Distressed Condominium Act? This act, enacted on July 1, 2010, enabled investors to buy Florida condos in bulk without the fear of certain liabilities. Most importantly, the act restricted certain developer liabilities that investors might have been saddled with from the original developer, making it much easier (and more attractive) to purchase condos in bulk for investment purposes. It also allowed the investor to maintain certain rights regarding the operations as well as the re-positioning of the assets. Set to expire on July 1 of this year, the Florida Distressed Condominium Act could have been extended by two bills set before lawmakers, including Florida House Bill 319 and Florida Senate Bill 680. These were designed to extend the act and keep it effective through the year 2015. Neither bill went through, meaning that the act was not extended. This could mean serious changes for those investors who have been quickly buying up distressed condominiums in Florida. If you’re sitting on a group of condos and thinking about buying them, the bottom line is that now is the time. After July of this year, the act will have no legal effect, meaning that you can be liable for those specific things mentioned above, such as the developer’s liabilities. This includes claims that originated with the condominium developer. If you plan to purchase bulk condos after July 1, 2012, you’ll need to speak with an attorney to ensure that your best interest is protected. Overall, although the act is not extended, buying Florida condominiums as an investment is still a great idea. It’s just important to look at the bulk buying options and whether you’re prepared to take the risk on purchasing in bulk now that the act is no longer in effect. Looking for a copy of your Condo Docs? A multi-jurisdictional comprehensive planning effort is currently underway by Kenosha County, nine local government partners, UW-Extension, and the Southeastern Wisconsin Regional Planning Commission. 2. What is land use plan? A land use plan is a long-range plan for the desirable use of land in a county, city, village, or town as officially adopted by the local plan commission. The purpose the plan is to serve as a guide in the zoning, and progressive changes in the zoning, of land to meet the future needs of the community in the use of undeveloped land and in the acquisition of rights-of-way or sites for public purposes such as streets, parks, schools, and public buildings. 3. What is a neighborhood plan? A neighborhood plan is the master plan for a particular neighborhood or district that provides specific design standards and guidelines regulating the development and use of the property. A neighborhood plan is adopted by the local municipality as a part of the land use plan for the city, village, or town and contains public policies relating to a specific neighborhood. 4. Can I split (subdivide) my land? Whether or not a property is eligible for subdivision requires the analysis of several factors, including land use plan maps, road frontage and access, soil suitability, total acreage, as well as a number of other items. The Kenosha County Department of Planning and Development would be happy to provide you with more information on the subdivision process. Please contact the Kenosha County Department of Planning and Development at (262) 857-1895 to obtain additional information or visit the Land Development page on our website. 5. Do I need an appointment if I am going to subdivide my property? No. Appointments are recommended to ensure that a staff member is available to spend adequate time to answer all of your questions. 6. Do I need an appointment if I am going to open a new business in an existing building that had a business? No. Appointments are recommended to ensure that a staff member is available to spend adequate time to answer all of your questions. 7. What is a Certified Survey Map? Divides a block, lot or outlot within a recorded CSM or subdivision plat into more than one, but less than five, parcels or building sites, inclusive of the original remnant parcel, without changing the exterior boundaries of said plat or the exterior boundaries of blocks within the plat. 8. What is a Plat? A map prepared for the purpose of recording a subdivision, major land division, or condominium. A plat is generally prepared in two phases. The first phase is the preliminary plat and the second phase is the final plat. 9. What is a Preliminary Plat? A preliminary plat is a map showing the salient features of a proposed subdivision submitted to an approving authority for purposes of preliminary consideration. A preliminary plat precisely describes the location and exterior boundaries of the parcel proposed to be divided, and shows the approximate location of lots and other improvements. 10. What is a Final Plat? A map prepared in accordance with the requirements of Chapter 236 of the Wisconsin State Statutes and the Kenosha County Subdivision Control Ordinance for the purpose of creating a subdivision. When a final plat has received all approvals and signatures, it is recorded with the Kenosha County Register of Deeds. 11. I am looking to file for a certified survey map, conditional use permit, subdivision plat or rezoning approval. How will the filing and meeting attendance process work? Within the unincorporated areas of Kenosha County, keep in mind that many of the aforementioned processes must be heard by your local township andKenosha County. A petitioner must attend a joint meeting with Town and County staff to discuss the proposal. The standard rule is that the petitioner applies to the Kenosha County Department of Planning and Development first. After filing with the Kenosha County Department of Planning and Development, you will then take your receipted application and go directly to your town office to file with the town clerk. Once you have filed at both offices (county and town), you should have a set of meeting dates known for which your attendance will be required. The Kenosha County Land Use Committee will not act on your agenda item until you have received a recommendation from your local town board. Note: After the town board meeting is held and a recommendation is made on your agenda item, minutes are automatically forwarded to the Kenosha County Department of Planning and Development. From start to finish you can expect the approval process to take approximately four (4) to eight (8) weeks. Keep in mind that if your item should get tabled at any of the public hearings the timeline will increase. Originally from Kenosha County Wisconsin Department of Planning and Development.